In September 2005, ALDO arrived on African soil offering South Africans the opportunity to enjoy the ALDO brand like their American, Canadian and European counterparts. 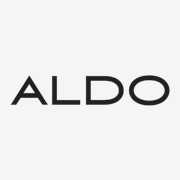 South Africans go to ALDO first for quality products that are always on trend. An unparalleled selection for both men and ladies ensures constant newness in the stores and enough choice to confidently say: whatever your style we've got you covered. From smart to casual, funky to fast fashion, you can express your individual style at ALDO.